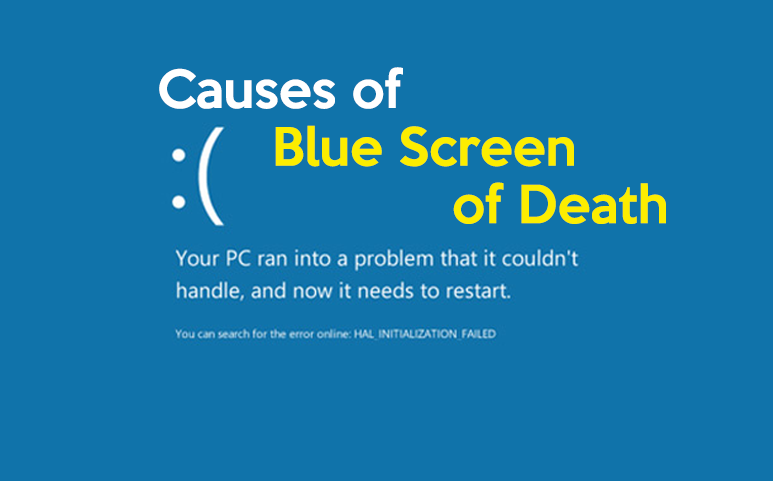 A Blue Screen of Death is also known as a Stop Error, it will show up if the problem is very serious and it stops the Windows completely. It is generally driver associated or hardware and most Blue Screen of Death (BSOD) confirm a Stop code that can help you to find the main reason of the BSOD. When your computer flashes a blue screen and rebooted the computer automatically before you can see what it mentioned on the screen, then take a look at the bottom of the page. It is important to know that in general, BSOD troubleshooting steps can help you find the Blue Screen Error Codes for every troubleshooting STOP code steps. If you do not have a guide for the troubleshooting for your particular STOP code or if you don’t know your STOP code is. You should also know that some of these BSOD steps may need you to start Windows in secure mode. If it is not possible, then it is better to skip those steps. When Windows shutdown, it display a BSOD (Blue Screen of Death) screen, and the blue screen stays only for a few seconds, and it reboots the computer immediately. The BSOD screen shows a short message of the STOP error and provides some usual instruction to find the crash problem. The details of BSOD error will be displayed for a very short time, and it doesn’t make any sense even for professionals. When the BSOD happens, Windows automatically creates a minidump (a small memory file dump), into the Windows directory that comes with extra information about the BSOD error and it will try to help you to resolve the Blue Screen of Death crash issue easily. Here you can find complete instructions on how to look for the problem that makes Windows to crash by understanding the BSEM (Blue Screen Error Messages) or by checking the minidump files of BSOD. Method 1: Look for the BSOD cause from the blue screen details. Method 2: You can find the root cause of Windows shutdown from the BSOD Minidump file. Solve Blue Screen problems from BSOD: The first step is, you should stop Windows from restarting automatically when the crash occurs. If you stop, then you can have more time to read the BSOD error message completely that is shown on the screen before rebooting. – When you start the Windows Explorer, and the left side of the computer, click right button and choose properties. After stopping the Automatically Restart feature, now, you can easily check the details of the BSOD crash and you know exactly what the root causes of the system crash are. The most vital details of the BSOD screen are positioned at the top and enclose the real crash error along with the application of filename or the reason that caused the Blue Screen of Death problem. Previous articleHow to download and install VLC?